Dr. Hone was born and raised in Dublin and qualified from The Royal College of Surgeons In Ireland in Medicine in 1990. After completing his Internship, Dr. Hone returned to College to study Dentistry, qualifying with an Honors Degree from Trinity College Dublin in 1994. He went on to train in Oral and Maxillofacial Surgery in the UK, where He achieved the Fellowships from the Royal College of Surgeons London Award in both – Dental Surgery and General Surgery – in 1997. Dr. Hone then began a three year Specialist Orthodontic Training Program at Guys Hospital London, completing his Specialist Orthodontic Training in 2002. At the same year, He was awarded a Membership in Orthodontics from Royal College of Surgeons Edinburgh. In addition to working in his own private practice, Dr. David Hone also worked at St James Hospital Orthodontic Unit as a Specialist and was a Tutor in Orthodontics in the Dublin Dental Hospital from 2002 to 2006. 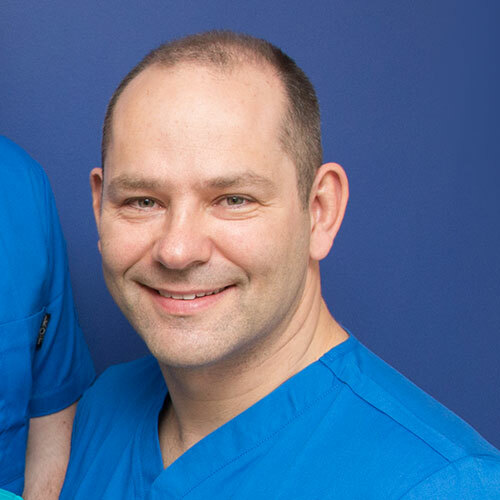 Dr. David Hone is part of the Specialist Orthodontist List of the Dental Council of Ireland and is a member of the Orthodontic Society of Ireland.